Drouet et Fils 3 Etoiles Cognac is a delightful VS quality blend. It's a fresh, lively young cognac that delights with its fruity and flowery fragrances. A light colored cognac, thanks to its youth, this is a great choice to use in cocktails, or to enjoy in the Charente style of over ice and mixed with tonic water. Boasting a history spanning four generations, the estate of Cognac Drouet et Fils covers 74 acres of Grande and Petite Champagne. However, the cognacs produced are purely from the Grande Champagne. Creating a range of cognacs from Trois Etoiles (three stars) to XO and beyond, Cognac Drouet et Fils remains faithful to the traditional production methods of old. 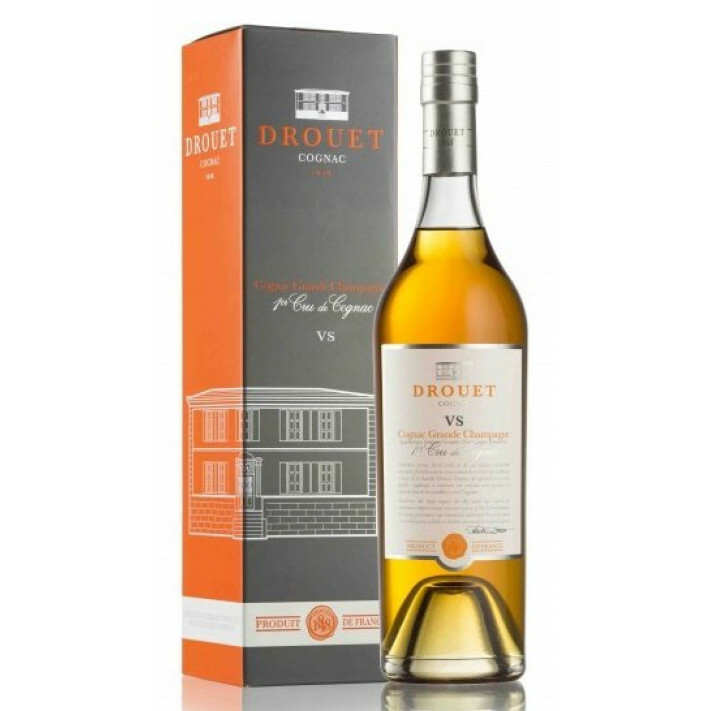 Today, Drouet cognacs can be found throughout the world, with their distinguished packaging and the unique bottle shapes of their top of the range cognacs making them easy to recognize. Tasting review by Drouet & Fils: Color : sumptuous cherry red colour with copper reflections. Aroma : fruity and intense with aromas of blackcurrant, griotte cherries and blackberries. Taste : strong, smooth body, impressive fruity length with chocolate notes at the finish. The colour is deep amber. The taste is young, fruity, a round punch - sligthly balanced by the Grande Champagne character. The finish is rather smooth for a VS, and again fruity.